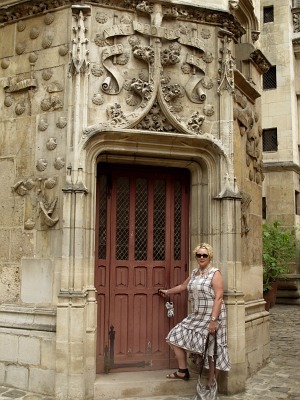 Cheryl wearing her Ivey Abitz Evie Frock, Cilla Slip Frock, and Wildefield Sash in Paris. Almost two years ago, I was having a lazy afternoon messing around on Pinterest when I came across a picture of an Ivey Abitz creation. Needless to say, the love affair began. So, when I had the opportunity to spend the month of July in Paris I knew Ivey Abitz was coming along with me! As soon as the Spring/Summer 2014 Collection debuted I was glued to my iPad assembling my wardrobe for my trip. French weather in July can be a little tricky, so I needed garments that would work for both cool, rainy weather and hot, humid weather. Of course, Ivey Abitz delivered on all counts. The pond washed gauzes, beautifully soft voiles and scrims, beach grass florals, the linens…oh my gosh, somebody stop me. One of the best things about Ivey Abitz is the owner/designer Cynthia. The customer service she provides is beyond compare. Whenever I had any questions regarding any of my orders I could always expect a prompt response that was thoughtful and reassuring. I’m one of those late night online shoppers and up until about 6 weeks before I left I was still making purchases. Every dress, camisole, skirt, pant and sash that I ordered arrived in time for my trip. Cynthia’s expertise in choosing fabrics that mix and match so well that I was able to put together a different look almost everyday of my trip. 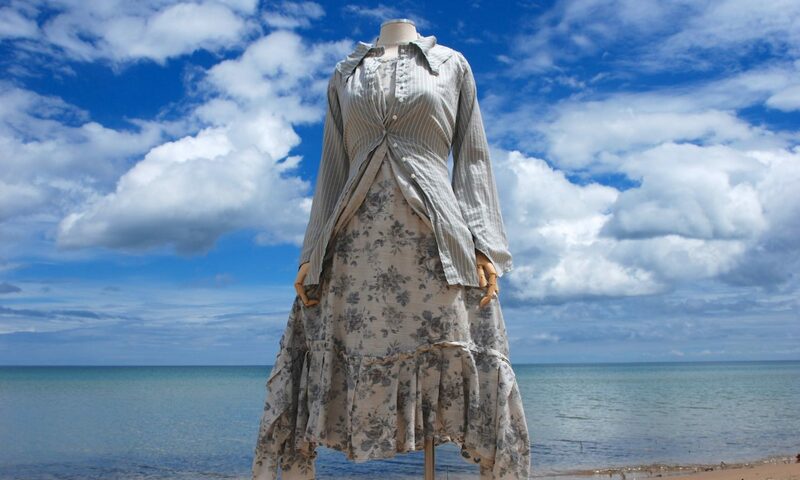 And don’t get me started on the quality of their work–the wonderfully finished seams, antique buttons. I was even able to add/subtract an inch with custom tailoring when needed. One of the things I dislike about traveling is packing. Not this trip. I think I was as excited to wear my new clothes as I was to be in Paris. The whole experience was fantastic! Thank you again, Ivey Abitz, for making me feel beautiful and unique on my adventure to France. I look forward to many more! !